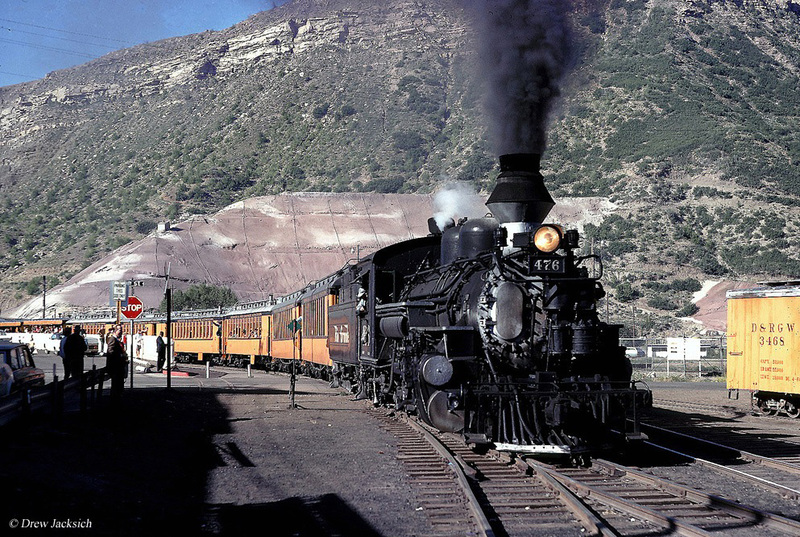 The Rio Grande's Class K-28 Mikados were its newest fleet of narrow-gauge 2-8-2s since the fabled Class K-27 "Mudhens" purchased at the beginning of the 20th century. These new steam locomotives were built following the end of World War I, corrected flaws in the earlier K-27's, and was slightly more powerful. They were well-built machines and proved so reliable from an operational standpoint that other railroads purchased the design. Only three examples survived after the end of World War II due to requisitioning related to the war effort. However, these three locomotives continued in service through the 1950s until they were sent into storage. Eventually, the trio was donated to the upstart Durango & Silverton Narrow Gauge tourist operation where they remain today. The fabled narrow-gauge operations in southern Colorado and northern New Mexico of the Denver & Rio Grande Western were so unique that they continue to garner attention in books, magazines, and model railroad layouts even today. After the mining industry's decline in the late 19th century this network of trackage relied on a mix of freight traffic (from drilling equipment for the oil industry to various agriculture and less-than-carload movements) and continued to haul passengers through the first half of the 20th century. 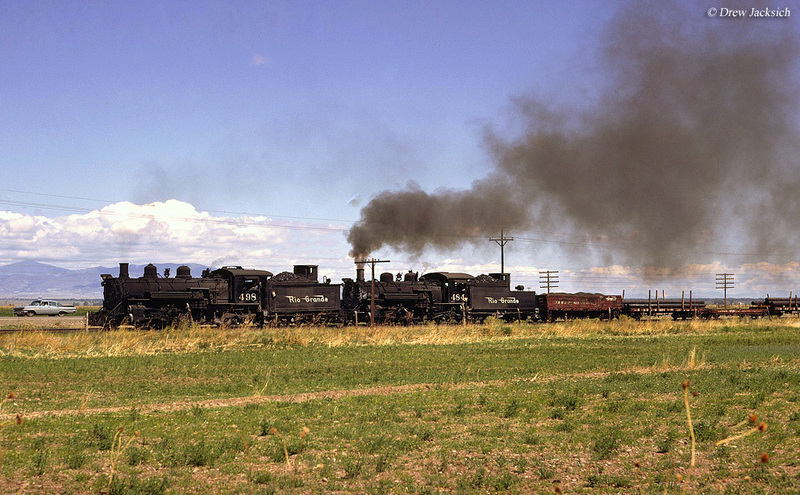 Prior to the arrival of the more powerful Mikados the then Denver & Rio Grande relied on a fleet of 2-6-0s, 4-6-0s, and in particular 2-8-0 Consolidations to get the work done. However, as traffic began to grow during the early 1900s the railroad upgraded its narrow-gauge fleet for the first time in many years. In 1903 it received a batch of fifteen new 2-8-2 Mikados from the Baldwin Locomotive Works. These steamers were initially listed as Class 125 and were affectionately known as "Mudhens" (although the origin of that name remains unclear even today). Then the most powerful locomotives operating on the narrow-gauge system D&RG employees and train crewmen referred to them as "little monsters." The Mudhens had issues, notably a shallow firebox that resulted in losing steam while in service. However, in general crews enjoyed operated them. During the 1920s the Mikados received a number of overhauls and were given a new designation as Class K-27. By then the Denver & Rio Grande Western (renamed in 1921 following reorganization) was needing even more new power intended to replace the aging 4-6-0s and 2-8-0s. During 1923 it received a new batch of ten from the American Locomotive Company (Alco) numbered 470-479 and given Class K-28. These new 2-8-2s offered a slightly better axle loading and additional tractive effort, and their taller drivers (earning them the nickname as "Sport Models") meant that they could operate at higher speeds. Officially, the new K-28's were meant to replace the 4-6-0s in passenger service between Alamosa and Durango as well as from Salida to Gunnison. The Mikes also carried the last named train to operate on the narrow-gauge network, the San Juan, but also found themselves in normal freight assignments as well. Interestingly, most of the Class K-28's operated on the Rio Grande for less than twenty years. Following the United States' entrance into World War II, seven were requisitioned by the U.S. Army during the fall of 1942 for use on Alaska's White Pass & Yukon Railroad due to the threat from Japan to attack the state (notably the Aleutian Island chain). These locomotives included numbers 470-472, 474-475, 477, and 479 where they were renumbered on the WP&Y as 250-256. Following the war the Mikados were not sent back to the Rio Grande and eventually scrapped in Seattle in 1945. However, the remaining three Class K-28's (473, 476, and 478) remained in service on the D&RGW until they were used sparingly after the 1950s. As Rio Grande's second-oldest fleet of 2-8-2s the "Sport Models" were supplanted by newer Mikados as early as 1925 when the railroad picked up ten new Class K-36's from Baldwin numbered 480-489. These were the last new steamers the D&RGW purchased for its narrow-gauge system. A few years later, between 1928 and 1930 the railroad built ten new 2-8-2s for narrow-gauge use (from former 2-8-0s) and classified them as Class K-37's (numbered 490-499). 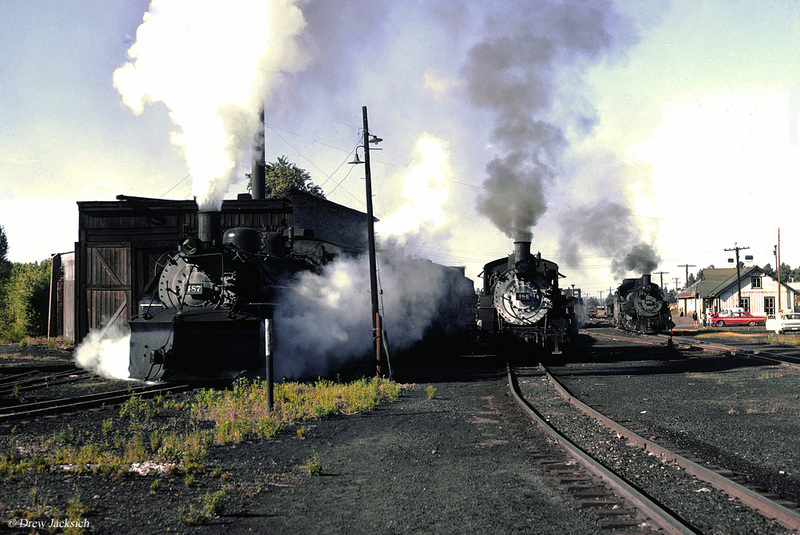 In 1981 the remaining three Class K-28's were acquired by the Durango & Silverton Narrow Gauge, which turned a section of the narrow-gauge operations around Durango, Colorado into one of the most popular tourist railroads in the country. Currently, #473 and #478 are operational while #476 is out of service.